If you enjoy laughing and you are a fan of American comedy, chances are you are familiar with Gabriel Iglesias. He is one of the top comedians in the United States and although he is not one to make the news outside of his comedy works, he is a fairly big public personality. A part of him that isn’t talked about enough is his personal life, particularly his girlfriend, Claudia Valdez. Gabriel Iglesias is one of the richest comedians working in the industry today but all the money in the world means very little when you are lonely. Thankfully, Gabriel has Claudia Valdez, who is both an actress and a producer to share his life and his success with. 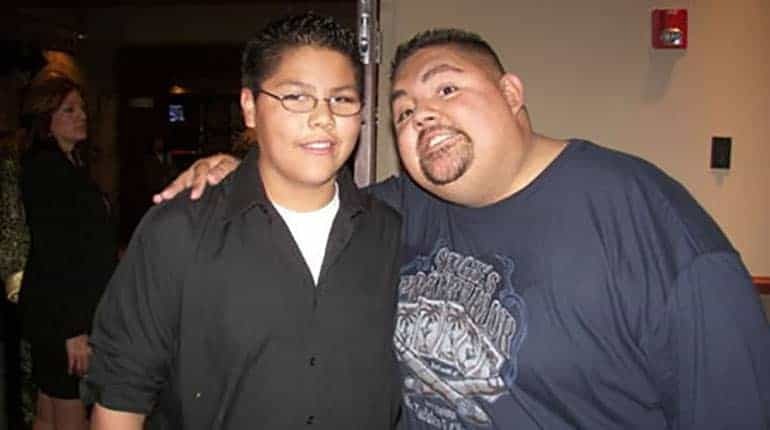 Until Gabriel Iglesias walked into the Laugh Factory Make A Wish event in 2008, Claudia Valdez was an unknown entity to the general public. Over 10 years after, she is one half of one of the oldest relationships in Hollywood, an industry notoriously known for its relationship turnover rate. Despite the limelight that has caught up with Claudia Valdez, there is still plenty that is unknown about the girlfriend of the ace comedian. Her date of birth is unknown even though she is believed to be a United States citizen, despite her Mexican background. Information such as the identity of her parents, her educational background and even some of her professional endeavors are currently unknown to both the media and the public. Over time, there has been bits and pieces of information about her professional ventures, starting with an acting role in 2010 for the drama, Sci-fi and Thriller film, Monsters, where she played an unnamed character described as ‘Nurse in Maternity Ward’. Considering it is her only known credit, as recognized by IMDb, it is difficult to consider her a professional actress. However, other media sites have credited her with appearances in La Zona, El Buffalo De La Noche, Gajes del Oficio, Inframundo and a couple more. One thing is however for sure, whatever her professional role and career might be, it has enabled her to maintain a long and loving relationship with Gabriel Iglesias. Another noteworthy information about Claudia Valdez is she loves animals. So far, that is the extent of information publicly available about her personality. Claudia Valdez and Gabriel Iglesias began dating in 2008. The couple never came out to announce to the world that they were dating. Fans and the media came to discover when the couple appeared together during a Make A Wish event at the Laugh Factory in 2008, and they have remained a couple ever since. Although they haven’t gotten engaged nor is there any evidence to suggest marriage in the near future, Claudia and Gabriel appear to be enjoying the love, care and affection of each other so much that they are in no rush to go through the social norm of marriage. If you think Claudia Valdez and Gabriel Iglesias’ longtime dating without marriage is enviable and evident of pure love, then wait till you find out that Gabriel Iglesias has been helping Claudia raise her son, Frankie. That’s right. Claudia Valdez is a single mother and she had her only child, a son, named Frankie before she met Gabriel. Who exactly the father of Frankie is, is a detail that is among the bag of unknowns about Claudia’s life, but that fact has not mattered in her relationship with her boyfriend. Although Claudia and Gabriel are not married, Frankie, who is believed to have been born on the 8th of December, 1997 has been raised like a step-son by Gabriel. The unconventional family now live together in Whittier, California. She has a height of 5 feet 3 inches with an accompanying body weight of 59kg. Claudia Valdez might not share the wealth of popularity and the commercial success of a body of work as her boyfriend, but she has nurtured a decent career for herself, enough to have a net worth of $1 million. 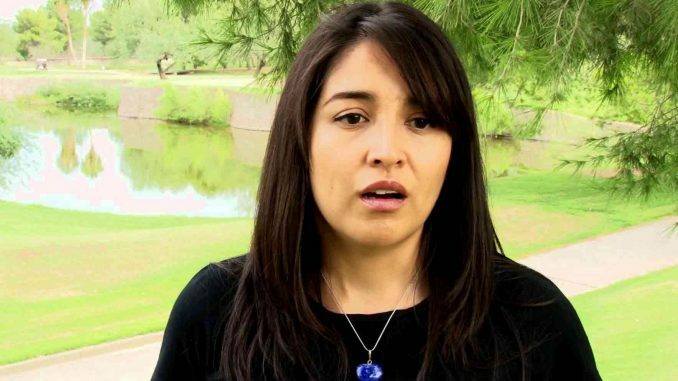 Claudia Valdez does not have a social media presence. A strange fact considering her line of work.